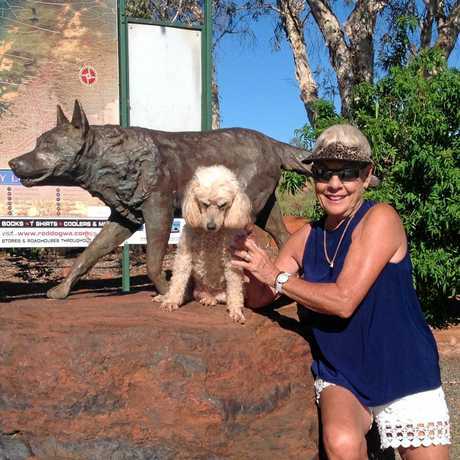 HEADING out on the Australian road as a single woman, towing a caravan for the first time and with a heavy heart after the recent death of her husband, Betty Quinn has proven she has the drive to continue living a full life. 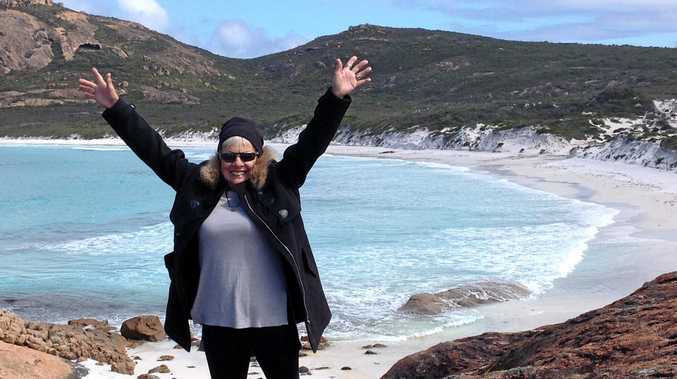 She travelled 19,756km around Australia in convoy with three couples, with an average age of about 70, taking just under five months to discover that outback Australia is "simply gorgeous”. "Why would you want to go anywhere else when you have Australia,” Betty said. 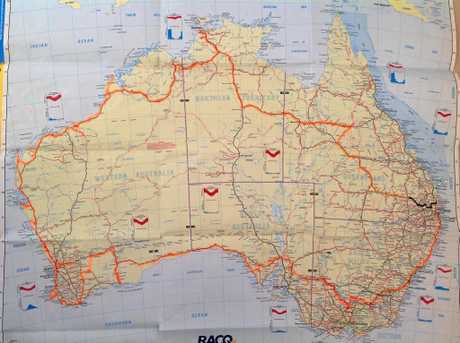 During June to October they travelled from the Sunshine Coast across western Queensland and into Northern Territory, along the West Australian coast and across South Australia, into Victoria before heading back up the east coast to Queensland. She fell in love with West Australia's coastline and Broome in particular, the Bungle Bungles, and her must-see recommendation of Katherine Gorge. Fiercely independent, 68-year-old Betty took to the challenge of the road trip with great delight and a little bit of cheek. "They generally put me in the middle of the pack; they didn't trust me at the end in case I picked up a stray along the way,” Betty said with a smile. The whole idea of the trip happened almost by accident. Her brother Randall was chatting about how he, his wife, and two other couples were planning another caravanning trip around Australia. "I just said, 'can I come' and he said if I bought myself a caravan and a decent car to pull it, I could come along,” Betty said. GREY NOMADS: A map of the five month road trip that Betty and her companions completed. Being a determined and self-sufficient character, Betty didn't delay in putting a plan into action. She found the car first, choosing a second-hand diesel, automatic 4WD Hyundai ix35. Then it was time for finding a 14-foot, pop-top caravan with single beds. "I was researching on Gumtree for a while, but then one of the guys travelling with us saw a caravan on the side of the road down near his place,” Betty said. "Next morning my brother, sister-in-law, daughter and I jumped in the car and went to check it out. Preparing for the big journey involved doing several short trips away in the company of her brother, and then with her daughter Stacey. She didn't take any driving lessons preferring to learn along the way, except for reversing. "One of the guys would park it for me. Adjusting to living in a confined space was relatively easy for Betty as she had spent the previous eight years living on a power boat with her husband. "One thing about living on the boat and living in a caravan, you know when you use something, you put it away; you can't leave stuff lying around,” she said. At her side throughout the trip was her faithful friend, Amber, which meant that when it came time to visiting national parks, she would leave her poodle with one of the couples who would visit the park on another day. "That was the only drawback from travelling with a pet,” she said. While her brother and his friends planned the trip, on the road they relied heavily on the app Wiki Camps to find free camp sites which Betty said she would recommend to anyone doing a caravanning trip. The trip proved a happy experience and an affordable one. She spent about $45,000 on the car and caravan, and then another $2500 for the diesel. With free camping at several places she saved a lot so her accommodation and food costs came down to under $8,000. Back home Betty has her caravan safely parked in a free caravan parking area within her retirement village while she plans her next adventure. "I would love to do the trip again, but take a shorter time,” Betty said. 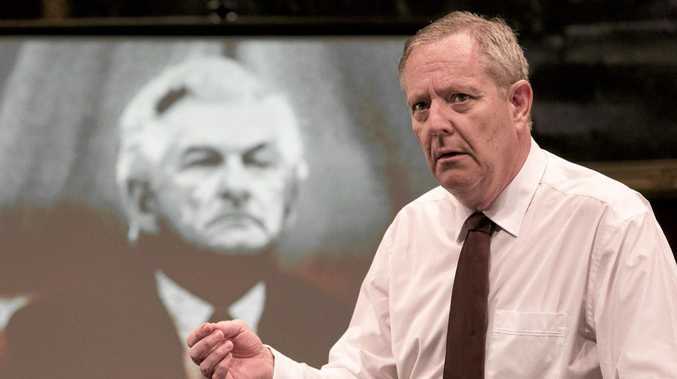 Entertainment THE Gospel According To Paul is a one man show in a 3D unauthorised autobiography written by someone else that playing to sell-out audiences.